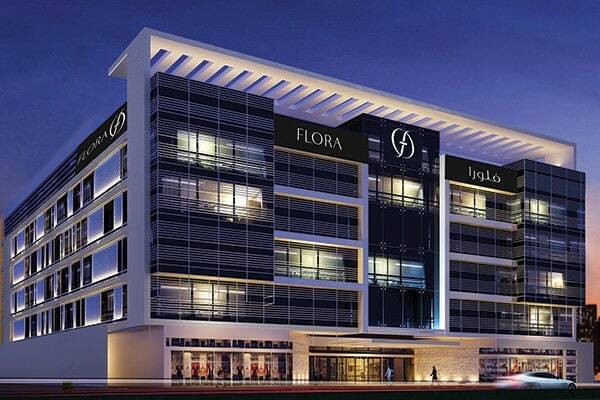 Located within 1km to Dubai International Airport Flora Inn Hotel features modern luxurious accommodation restaurant and café offering Indian, Arabic and International cuisine. It offers a temperature controlled outdoor pool, a kid’s pool, fully equipped health club and extensive spa treatments. Guests receive complimentary Hi Speed Wi-Fi in rooms and all public areas of the property. The renowned Dubai Creek is accessible through a 10 minute drive, while the famous Dubai Gold Souk and Spice Souk are 20 minutes away. Major shopping malls including Deira City Centre, Festival City Mall and Mirdif City Centre are within a 10 minute drive from the hotel, GGiCO Dubai Metro Station is a 10 minute walk while Dubai international Airport is a 2 minute drive. The rooms at Flora Inn are decorated with natural, soft colors. They are equipped with flat-screen TVs with satellite channels. Other amenities include work desk, tea/coffee making facilities, Iron and a board, bathrobe with slippers, private bathroom with free toiletries. The hotel has its own temperature-controlled swimming pool located on roof top where guests can enjoy the sun on the deck surrounding the outdoor pool. The on-site Health Club & Wellness Centre offers massage treatments and steam, sauna. It also has state of the art fitness center with the latest cardiovascular equipment. For dinner, guests can choose from a variety of restaurants with cuisines such as Indian, Arabic and International. The coffee shop lounge offers various snacks and beverages to choose from. Flora Inn offers 228 fully serviced and spacious guest rooms, designed to meet your everyday needs. This modern Air-conditioned room features latest technology and luxury amenities including bathrobes and slippers and a 49-inch flat-screen LED Smart TV, complimentary Hi Speed Wi-Fi. This Spacious contemporary furnished Air conditioned room offers complimentary Hi Speed Wi-Fi a 49-inch flat-screen LED Smart TV, minibar, safety deposit box, tea coffee making facilities ,ironing facilities, work desk, bathrobes and slippers, private bathroom with a Bathtub and free toiletries. Two spacious connecting rooms with en-suite bathroom in each room offering free amenities, ideally designed for families and featuring free high speed WiFi, a flat-screen 49 inch LED Smart TV and comfortable seating areas. This spacious modern suite offers a separate living area with sofa seating facilities Include en suite bathroom with free amenities, high speed Wi-Fi, a flat-screen 49 inch LED Smart TV, minibar, safety deposit box, tea coffee making facilities, ironing facilities, work desk, bathrobes and slippers. Flora Inn Hotel offers a selection of authentic cuisines and delicious dining options. Enjoy a wide array of aromas and delights in our daily international buffet breakfast, lunch and dinner along with A la Carte options available throughout the day. An elegant and welcoming restaurant with a unique style in keeping with the stylish modern décor with 140 seats. We aim to create a divine meal experience for all foodies. We offer Indian and Continental Cuisine with daily International Buffets for Breakfast, Lunch & Dinner. The restaurant is perfect for fine dining and celebrations of all kinds. Why choose Flora Inn Hotel Dubai Airport Meetings And Event Space? Flora Inn offers a range of superb facilities for guests, including state of the art Techno Gym cardiovascular apparatus, resistance machines and free weights. The hotel has a Serenity Spa and Wellness centre. A wonderful range of massage treatments available all using natural organic blends of oils. We offer Spa Treatment rooms, swimming pool, exercise studio, steam, sauna and Jacuzzi. Flora Inn features a world-class Fitness Center, fitted with state of the art Techno Gym cardiovascular apparatus, resistance machines and free weights. Memberships are open for 1 month, 3 months, 6 months, 1 year and corporate rate is available for a minimum of 5 people. Drive to the airport exit road and follow the directions to Jebel Ali and Abu Dhabi sign, pass the first signal and drive ahead. Take U-turn from second signal and drive another 400-500 meters, property is located on right side. All guest must present a valid U.A.E Identification or passport upon check-in. The hotel reserves the right to refuse entry to hotel rooms to guests not registered upon check in. According to the guidance received from the U.A.E Federal Tax authority, the VAT 5% is levied on the room rate and service charge. The hotel is located close to the Dubai International Airport. Free shuttle pick up on hourly basis from Terminal 1 & 3 can be arranged upon request. Private car transfers with additional charges can be arranged from Terminal 2. Guests are requested to inform the property in advance of 24 Hours if they wish to make use of these services. Contact details can be found on the booking confirmation.